Today more and more people are looking for alternatives to prescription or OTC drugs when it comes to taking care of their health. Herbal medicines have been used for thousands of years in the treatment and prevention of disease and ailments, and have specific meaning in Ayurvedic medicine. In this blog post, we’ll look at what Ayurvedic medicine is and the meaning of a number of common herbal medicines used in Ayurveda. 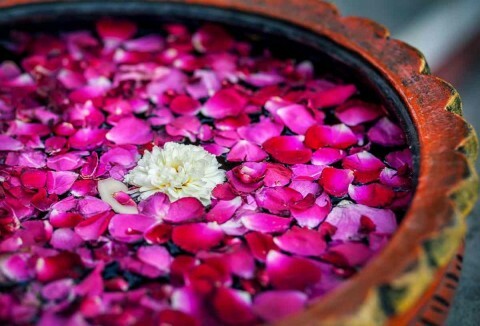 Ayurveda was developed in India more than 5000 years ago and is concerned with balancing the three interdependent mechanisms known as doshas: vata, pitta, and kapha. Ayurvedic medicine uses highly individualized treatments to address and heal ailments and imbalance including lifestyle changes, diet, a cleanse and detoxification process known as Panchakarma as well as herbal compounds and medicines. Read our interview with Ayurvedic practitioner Todd Caldecott. Turmeric: the best Ayurveda medicine? In Ayurveda medicine ginger, another anti-inflammatory, is known to destroy toxins, ease digestion and prevent nausea, reduce feelings of cold, and alleviate coughing and breathing difficulties. Its versatility was noted in ancient Ayurvedic texts and today it is commonly used in home remedies in India and throughout the Western world. (2) In scientific literature, its anticancer potential is also well documented. 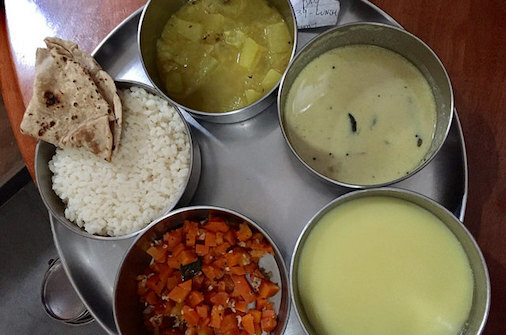 (3) Given its effectiveness and versatility ginger is often described by Ayurvedic practitioners as vishwabheshaja, “the universal medicine”, and the root can be eaten raw, lightly stir-fried with other vegetables, boiled as a tea, or ground into a powder depending on the required treatment. In India coriander is referred to as dhanya or dhanyaka, meaning “the rich one”, and has many therapeutic and culinary uses. (4) In Ayurvedic medicine, coriander is considered to pacify the three doshas and is commonly used for fevers and indigestion. The seeds and oil are the most frequently used components of coriander, but the leaves – cilantro – can also be used, especially in cooking. For a quick home remedy, you can try a teaspoon of roasted coriander and cumin seeds to help with abdominal cramps or gas after a meal! Less well known in the West, Guduchi is a widely used and very important medicine in Ayurveda. A climbing shrub, it often seen in India growing up mango or neem trees. 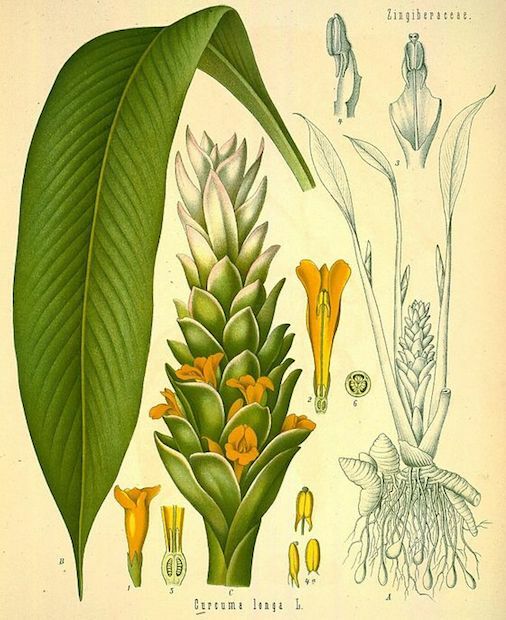 Like turmeric, it can be taken internally or topically, and the dried stem is often administered in powder form although the roots and leaves are also important. In Ayurveda, it is known as the “one which protects the body” and is used to balance the doshas and treat a variety of conditions including arthritis, skin disorders and fever. Ashwagandha (Withania Somnifer) is an extremely well respected herb in Ayurveda with many applications and methods of preparation. 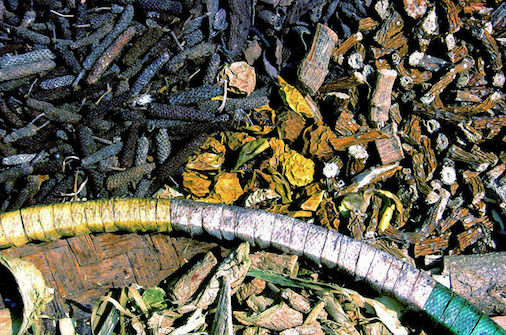 An adaptogenic herb, it is gaining attention in the West for its ability to treat anxiety and depression as effectively – if not more so – than prescription drugs. (5) This herbal medicine is also known to help with adrenal fatigue and thyroid problems, and is commonly taken as a powder, often mixed with warm milk and honey as a bedtime drink, although it is also available as a tablet or liquid extract. As Dr. Ramkumar, one of the founders of the Vaidyagrama Ayurveda Healing Village in Coimbatore, India, reminds us, Ayurvedic treatments are most successful when they are carried out in a suitably conducive environment and administered by highly skilled Ayurvedic physicians. 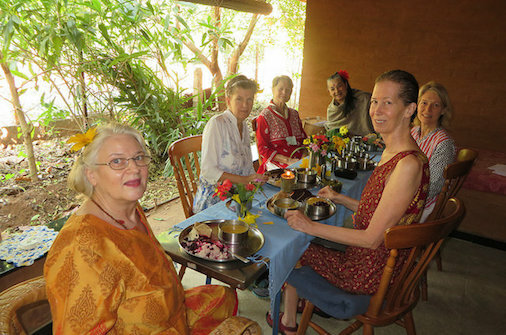 If you are interested in how Ayurveda medicine can help improve your life or heal disease, visit our website to read about our December 2017 Ayurveda Health & Healing Retreat in India. Have you been treated with Ayurvedic medicine? We’d love to hear your stories about your experience with Ayurveda in our comments section or through the Sacred Earth Journeys Facebook page! (1) See: Herbal Medicine: Biomolecular and Clinical Aspects, 2nd edition.